I admit that during the chilly months, I'm not very good about visiting the farmers' market. In fact, I pretty much avoid it, opting to order local seasonal produce and dairy at Whole Foods or, better yet, the convenience of Fresh Direct, which delivers it all right to my door on those freezing winter mornings. But now that warmer days are starting to arrive, I'm getting that itch to head back down to the market where I can pick out the things I want to eat with my hands, and not just my keyboard. Here are some of my fave tips for making the most of your trip! 2. But if you're looking for deals, go near the end of the day. The selection won't be as plentiful, but a lot of farmers will discount their produce or throw in a little something extra during the last hour or two of the day. 3. Ask about #2 fruit, which is fruit that may not be as physically pretty, but which is still just as delicious and high and quality as the other ones. These can often be discounted as much as 50% so you can save a bundle. 4. That said, don't haggle or try to bargain with the farmers. They work hard to produce their food and set fair prices based on the supply and conditions, so it's not considered good etiquette to try to bring down the price. Treat prices the same way you would at a regular grocery store. 5. Talk to the farmers. These are the people who actually grew (or raised) the food you're buying and they know it best. Ask them what their favorites are that day, or what the best way to cook something is. If there is something you don't recognize or are just looking for ideas, ask them as they'll be able to offer you a lot of tips. 6. Bring your own bags! While small plastic bags are sometimes available, it's better and more environmentally responsible to come prepared with a couple big bags or baskets that you can fill up with your goodies. Larger bags are also easier to carry so you can fit more stuff and not have to carry 12 different small baggies in your hands. 8. Walk through the entire market at least once before purchasing anything. This will help you get an idea of the prices and selection available since they will vary by provider. 9. Buy vegetables, fruits, and bread first. Then buy the more delicate and perishable items such as eggs, dairy products, or meat just before you leave. 10. Don't make post-farmer's market plans without stopping off at home first. A lot of the things you buy will be delicate or perishable and shouldn't spend a few hours bumping around in your bag while you have a long lunch or run errands. Think of it the same way you do groceries; you wouldn't go to the movies with load of groceries in the car, would you? You also don't want to have to limit yourself from buying dairy or meat just because you planned to meet some girlfriends for brunch later. 11. Invest in a lightweight collapsible shopping cart. It will make it easy to transport your purchases around the market (and then take them home if you live in a city like I do). 12. Save more by buying big. 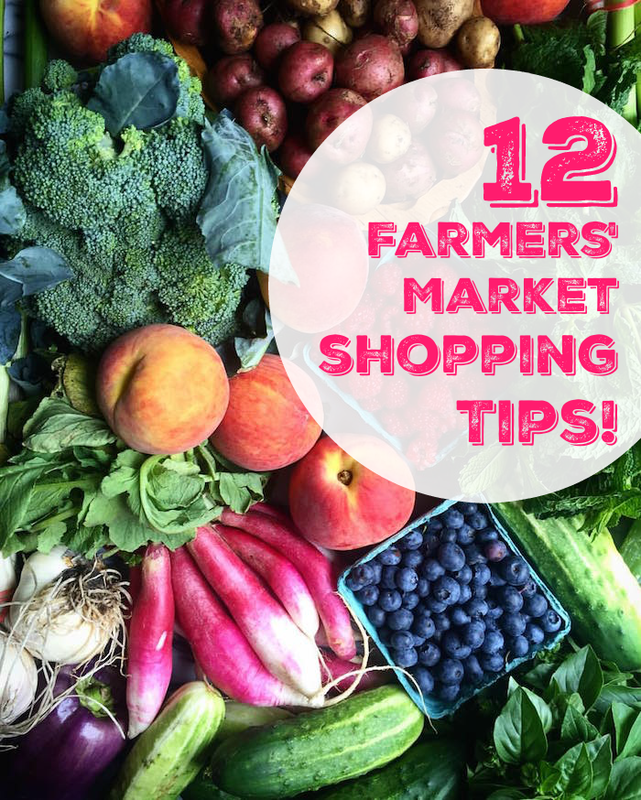 Ask farmers about buying by the case or setting up a regular weekly purchase; they will often set up a special price for you if you commit to buying a larger quantity than normal. It's great if you're into canning, have a large family, or are planning a big event. You can even go in on purchases with other friends and families so that you can split the items and all save.